OMEGA’s PSW495 series switches are designed to satisfy most industrial switch requirements. 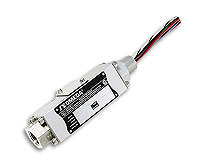 The actuators have been proven in more than 20 years of service worldwide. A selection of seal materials and single or dual SPDT hermetically sealed switches meet most switching applications.